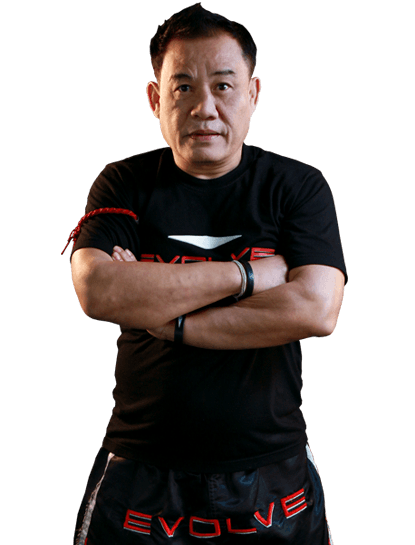 Daorung is an Instructor at Evolve Mixed Martial Arts in Singapore. He is a former Muay Thai Champion in Thailand. He brings over 48 years of professional Muay Thai experience as a professional fighter and as a trainer of Lumpinee Muay Thai World Champions. He has fought in over 100 professional Muay Thai fights. His knowledge of the fight game is unsurpassed. He has been at the Sityodtong Camp for most of his career as a fighter and elite trainer. Daorung is known for his strong low leg kicks and big right hand. Although he is ring-proven, Daorung is also a street fighter with hundreds of street fights to his name. Daorung is a certified Muay Thai instructor under the legendary Kru Yodtong of the Sityodtong Camp in Thailand. 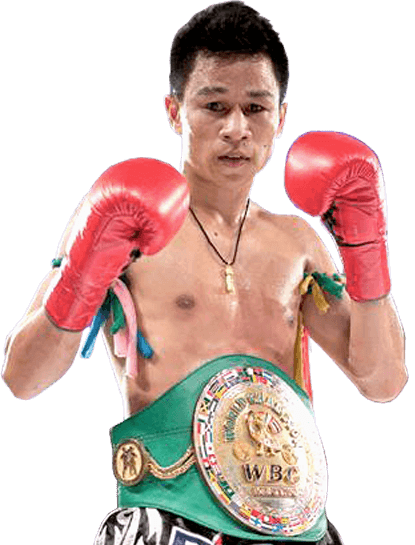 He is also a certified Muay Thai Instructor by the World Muay Thai Council (WMC). He has also taken CPR and AED training. Daorung is originally from Thailand. Daorung “Papa” Sityodtong has been under the Sityodtong flag with Kru Yodtong Senanan for over 40+ years. He was the 1st Muay Thai instructor to Chatri Sityodtong almost 30 years ago at Sityodtong Camp in Thailand. He used to moonlight as a bouncer in Pattaya City’s most dangerous nightclub. Daorung Sityodtong was also a legendary underground fighter in his prime. He was also the bodyguard to some of the most famous rockstars, including Thailand’s biggest music legend, Bird Thongchai. Although he was never fortunate enough to get married, Papa loves to teach Muay Thai to kids. One of his favorite meals is Brazilian-style barbecue.